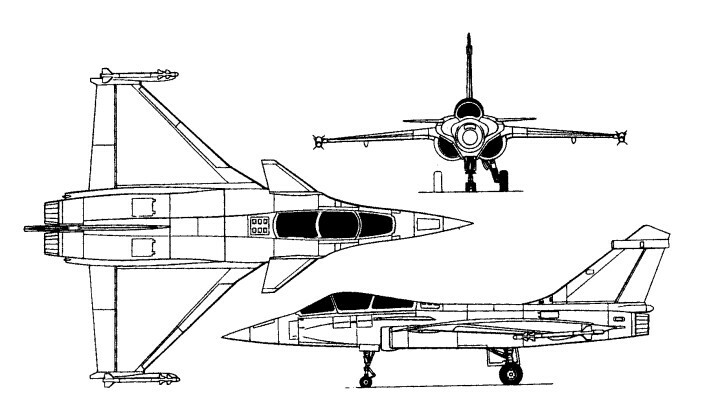 France orginally was part of the EFA (European Fighter Aircraft) project, which would result in the Eurofighter. 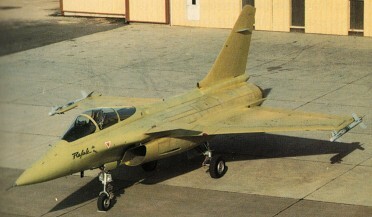 In 1985 France left the project and started its own development of a fighter, which led to the ACX or Rafale A. The Rafale ('Squall') was originally conceived to demonstrate technologies applicable to a French air force Jaguar replacement (ACT= Avions Combat Tactique) and a French navy Crusader and Super Etendard replacement (ACM= Avion de Combat Marine). It is a single-seat aircraft with a compound-sweep delta wing, an all-moving canard, a single fin, and semi-vented intakes. It incorporates digital fly-by-wire, relaxed stability, a reclined pilot’s seat, a wide-angle headup display, and composite components are used extensively in the airframe. Provision has been made for the introduction of fibre-optics, voice command, and voice warning systems. Equipped with the multi-mode RBE2 radar which has full air-to-air and air-to-ground capability, it can carry a wide range of weapons, including the APACHE stand-off munitions dispenser and the ASMP nuclear missile. First flying on 4 July 1986, Mach 1.3 was exceeded during the flight. In May 1987 the Rafale A prototype successfully completed a series of approaches to the carrier Clemenceau to establish the feasibility of carrier operations. In April 1989 the aircraft was laid-up for the substitution of a SNECMA M88-2 augmented turbofan in the port engine bay and flew in this configuration on 27 February 1990. The M88 is the selected engine for production versions of the Rafale. 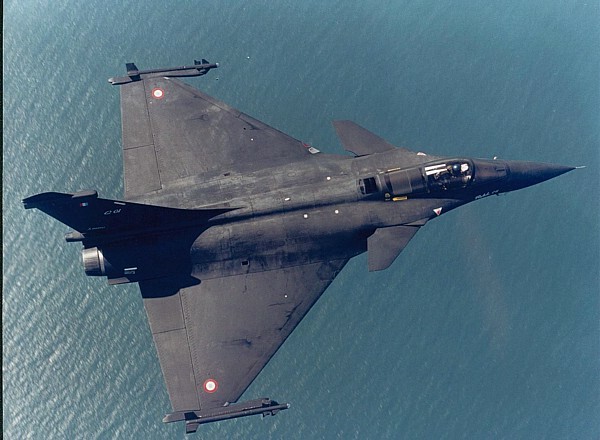 Developed from the Rafale A was the single seat Rafale C that first flew on 19 May 1991. The two-seat Rafale B was designed as a dual control conversion trainer for the single seat Rafale C. But the Rafale B has developed as a fully operational variant with full combat capability. Either an instructor, a second pilot or a WSO can assist the pilot from the rear seat. 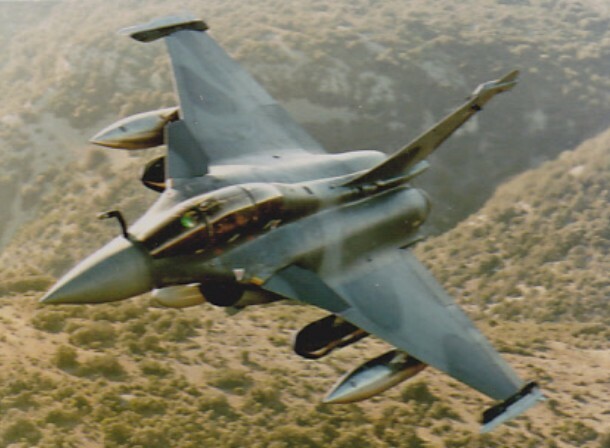 The Rafale B and C aircraft were planned to enter Armée de l'Air (French Air Force) service from 2002 onwards to replace its older Mirage variants and Jaguars. The first production aircraft Rafale B1 flew for the first time on 4 December 1998 and was delivered to the French Air Force. On April 20, 2001, a Rafale B fitted with conformal fuel tanks made its first flight. Designed especially for the Aeronavale (French Navy Air Arm) is the carrier capable Rafale M. A fully navilised version first flying on 12 December 1991. The Rafale M has for 80% the same structural design and for 95% the same systems as the Rafale C. It has strengthened main undercarriage, extended nosewheel suitable for catapult launch, hydraulically operated arrester hook, but has no folding wings. The centreline pylon has to be removed because of the longer nosewheel undercarriage. The first production Rafale M aircraft replaced the remaining F-8E(FN) Crusaders in the fighter role. Subsequent deliveries were to replace the Super Etendard and Etendard IVP in the attack and recconnaissance roles. 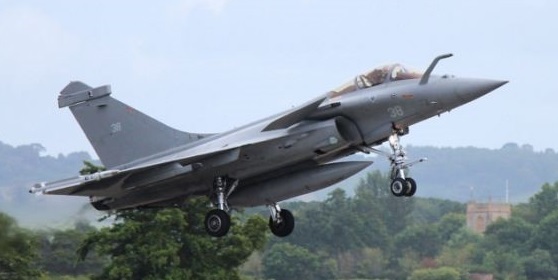 A fourth variant developed for the French Navy, is the two-seat Rafale N to enter service in 2008. The Rafale will become the only combat aircraft in the French Navy when all aircraft are delivered. The original plan was to order a total of 94 Cs, 78 Ms and 140 Bs. On December 1, 2001, the French carrier Charles de Gaulle departed to support the war on terrorism with on board seven Rafale M fighters. Although the aircraft did not take part in the large-scale air combat operation over Afghanistan, they flew combat air patrols and were able to practise and test out new tactics. Armament: 1x MK 30mm DEFA 554, max 12x AIM.